RUN4HOPE to make a difference in the lives of others and save 40% on your race registration! Sign up today and run for one of 15 charities including Canuck Place Children’s Hospice! At Canuck Place Children’s Hospice, we provide critical care for children with life-threatening illnesses in our two provincial locations and in their home communities, empowering families to live in the moment together and build precious memories. We would like to introduce you to one such family. Meet Kerena, Jordan, Caynan, Dryden, Gibson, Watson, and Heston Letcher. The whole family (all seven of them!) have been coming to Canuck Place since March 2015 for medical support and respite care. Heston was diagnosed at the age of 3 with MPS III, type A. A regressive, genetic disease, requiring constant care. Due to the Heston’s medical needs, travel is hard for the Letchers. Anywhere they go requires two hotel rooms and a special bed for Heston, but Canuck Place allows them all to have a holiday that is easy, enjoyable, and safe for the whole family. Above all, it allows them to just be together. Canuck Place is quickly becoming a home away from home for the family. Life for any family with five boys is hectic, a sick child just makes the everyday a little more complicated. Canuck Place is there to help ease the complications, and let the family focus on being together as a family, and enjoying the time they have with Heston, and each other. 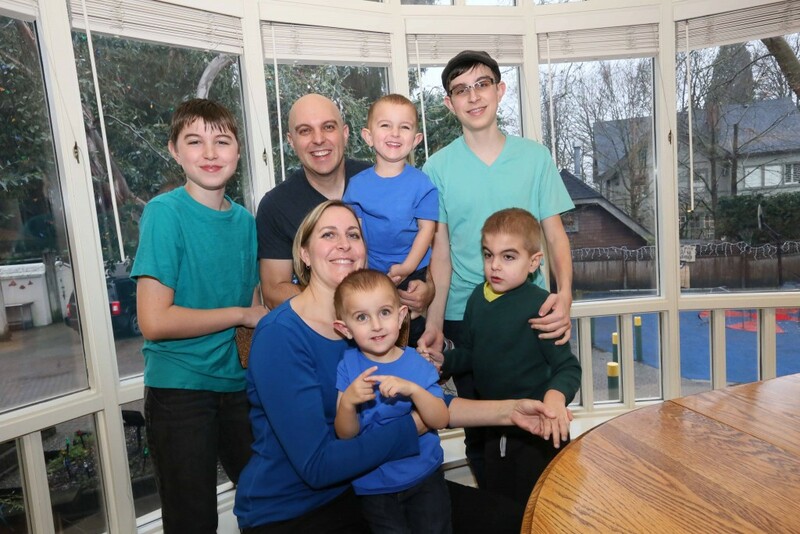 With the help a caring community and supporters like BMO Vancouver Marathon and its RUN4HOPE charity program, Canuck Place is able to provide children and families like the Letchers the clinical care program and support they need to continue their journey and celebrate each moment together. British Columbia’s recognized pediatric palliative care provider since 1995. As a Canuck Place Children’s Hospice RUN4HOPE charity runner, participants commit to raising funds to support the care for over 600 children and families in BC who are living with life-threatening illnesses. Through outreach programs and two provincial locations, CPCH provides respite and family support, pain and symptom management, 24-hour phone consultation support and in-house clinical care, art and education, recreation therapy, grief and loss counselling and end-of-life care. Canuck Place Children’s Hospice directly supports our RUN4HOPE charity runners to help make your fundraising a success. RUN4HOPE charity runners will be contacted by Canuck Place with fundraising details soon after registration. Please join us in making a fundamental difference in the lives of children and the families who love them! RUN4HOPE and fundraise for us!Make a donation! To learn more about the RUN4HOPE program please click here.